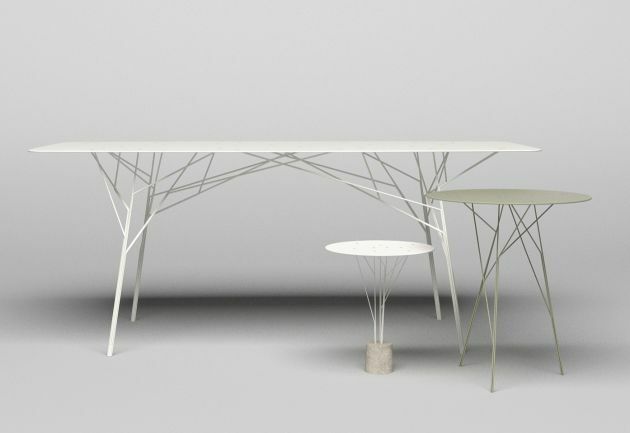 Chinese designer Zhili Liu has created the Shrub Tables. 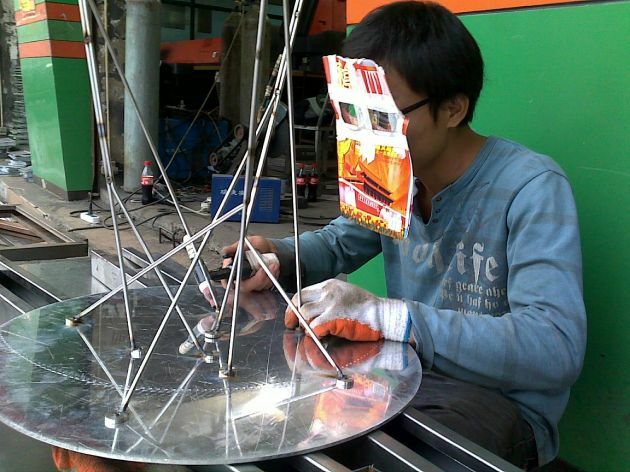 Chinese manufacturing is usually famous for large quantity, low quality and very limited new material and technology. 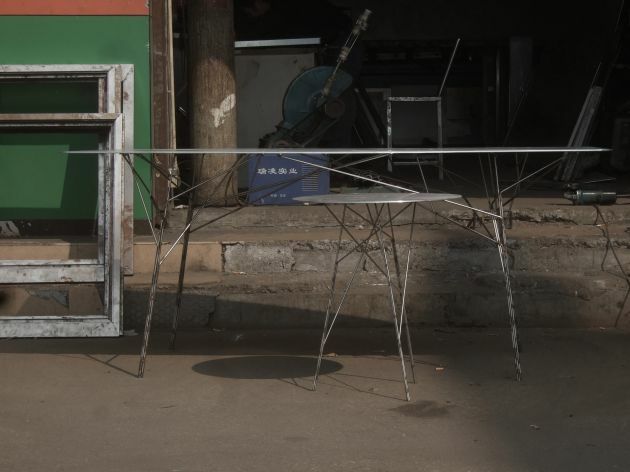 So for Chinese designers, creating low quantity products with high quality in both design and manufacturing has always been a tougher task than it is in most other places. 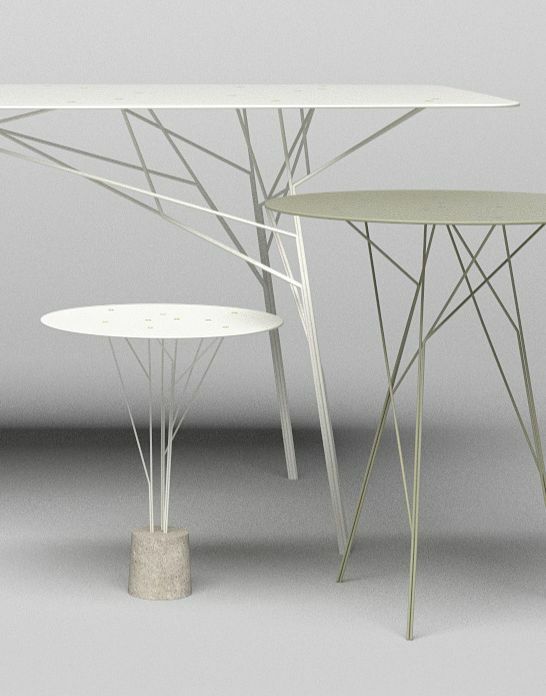 I have been trying to create high specification products with typical Chinese industrial materials and basic technics, through unusual design and engineering, and these tables are the first prototypes in this direction – which I believe could be another route for “Chinese design” aside from reinterpreting the traditional decorative elements. 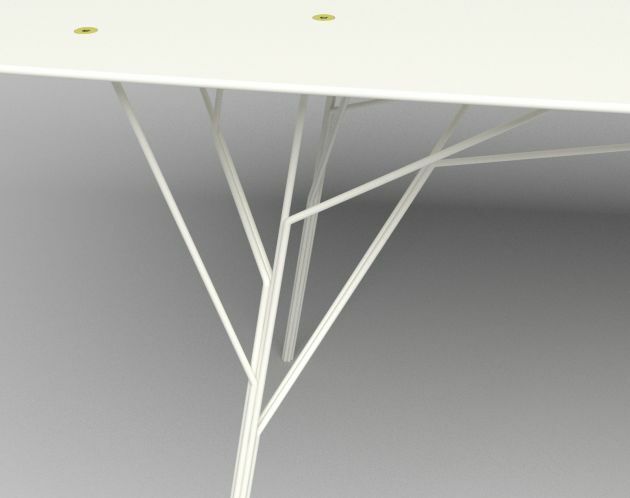 The exposed sunken screws bolt together the table top with all the “branches” of table legs, forming dozens of stable triangles, which make the table top part of the frame to share the stress in the legs, thus material needed to make a table is minimized. 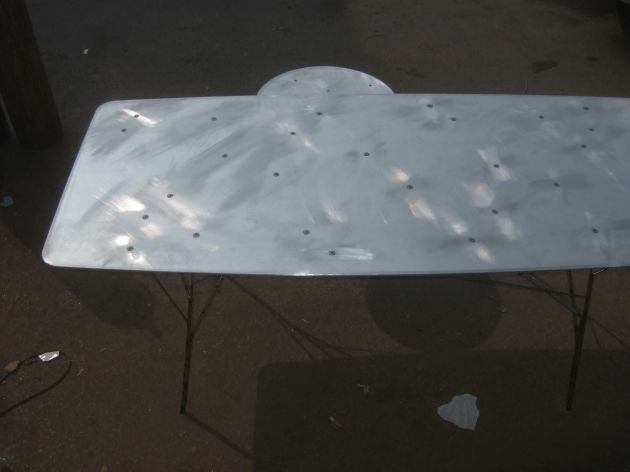 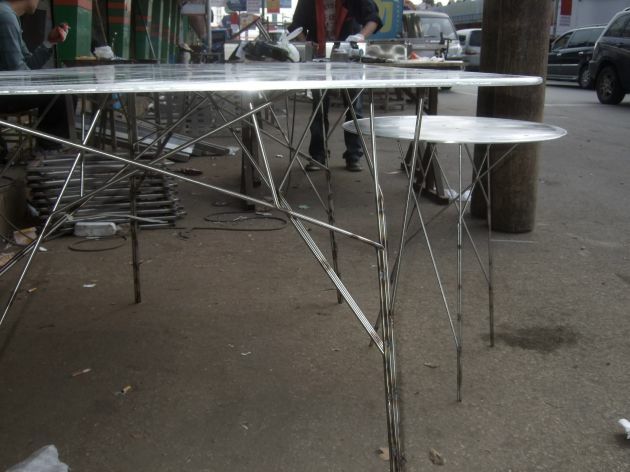 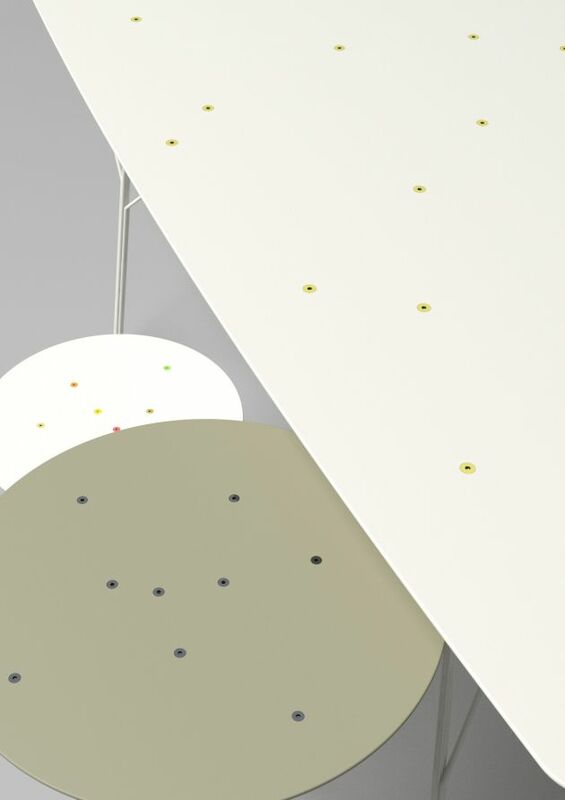 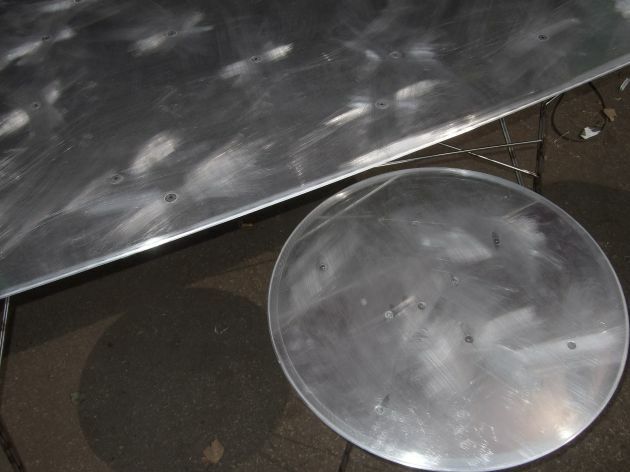 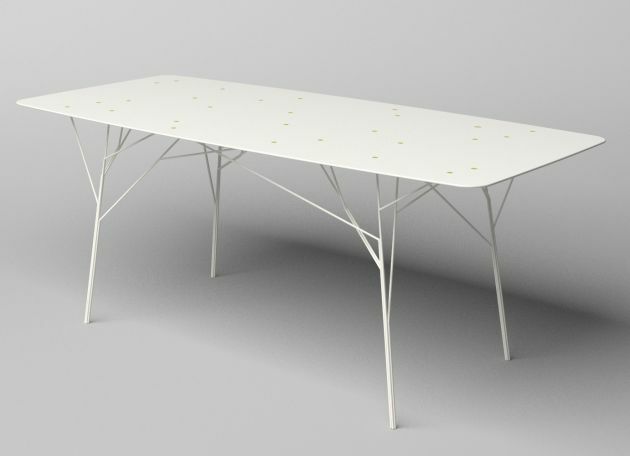 the 2-metre dining table has a top with 6mm even thickness, from edge to centre, without any space technology or exotic material, just thin steel rods, aluminium sheet and a roadside workshop, and the randomnly spreaded fastening screws also become the decorative elements here. 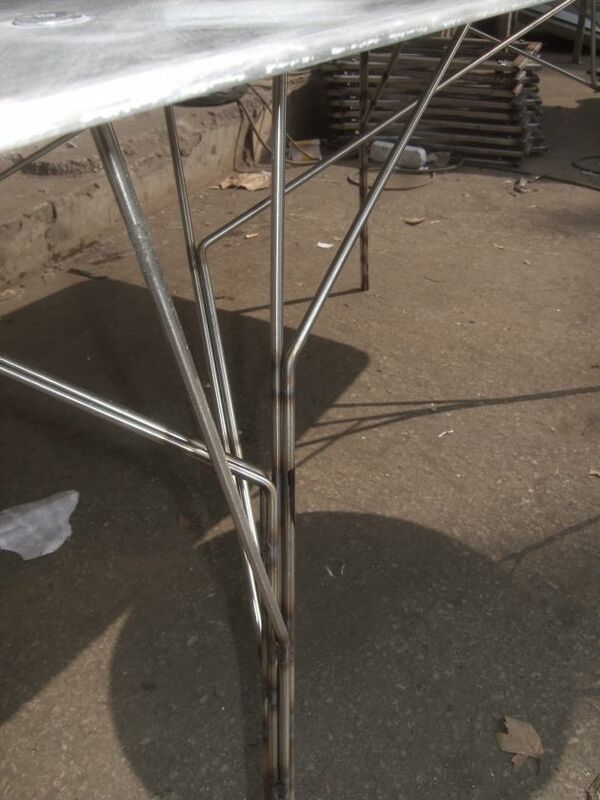 Cut, bent, welded and powder coated.